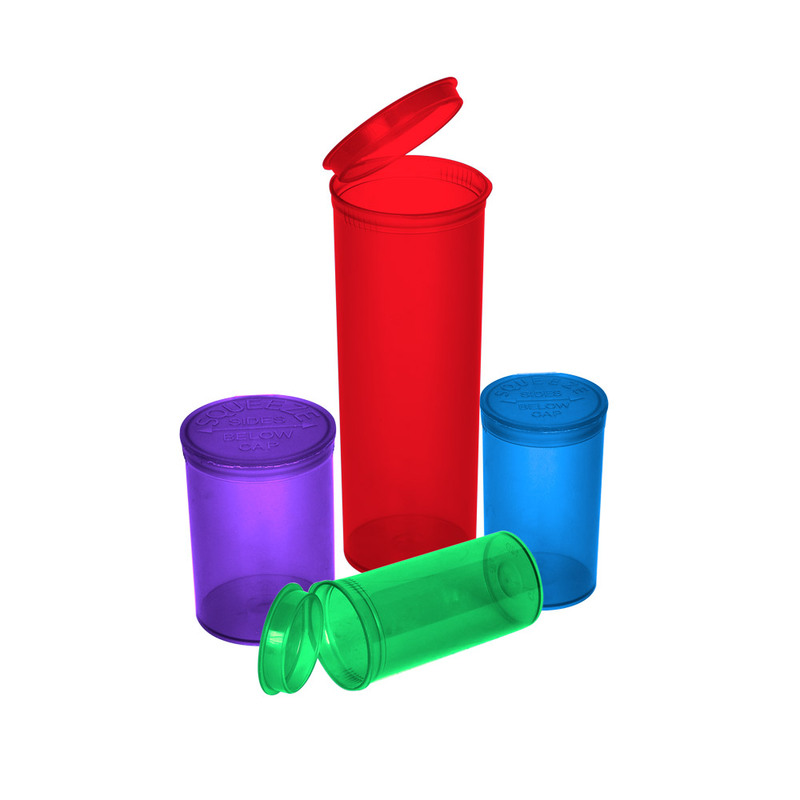 Pop top hinged vials are available in a variety of different sizes and colors, and some are even child resistant! These are great for medications that need to be protected from moisture or need odor contained. The attached lid means you'll never lose it!